Previous post: Back To School: Your ‘4S’ Supply Checklist! Pain. It can be inescapable, depressing and debilitating. There are so many reasons for pain, from serious diseases to injury and stress. But one thing is the same for anyone in pain: no one should suffer alone. 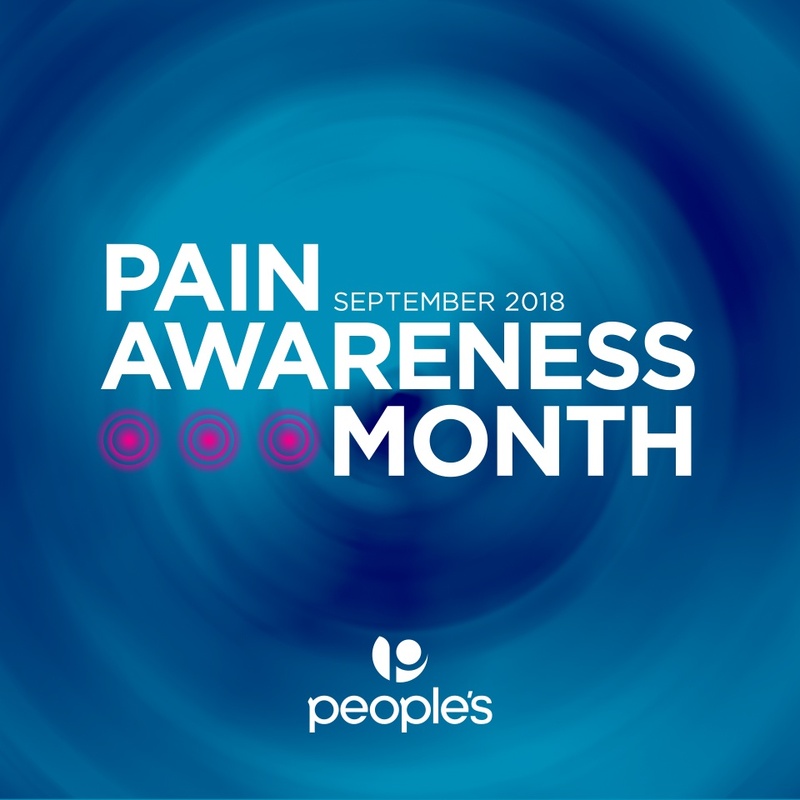 September has been declared Pain Awareness Month, a time when organisations work to raise public awareness of issues in the area of pain and pain management. In honour of this, we have written this blog post to help summarise the facts of pain and what you can do to get help if you or a loved one is suffering. Pain starts in receptor nerve cells located beneath the skin and in our organs. Specialised nerve fibres in our spinal cord transmit pain signals to our brain, working across our whole body like a very powerful computer. Our physical pain and our emotions are linked. We experience worse pain when we’re already tired, depressed or anxious…and positively, the opposite can also be true! Our ability to cope with pain tends to be better when we are feeling happy and optimistic. Acute pain is generally short-term pain; it’s our bodies’ way of telling us that something is wrong and needs help. Sometimes it’s obvious what to do – rest a bruised limb, take anti-inflammatory painkillers, hydrate or ease tension – but a lot of the time, we need to see our GP or go to the hospital if it’s unexplained or serious. For short-term relief, People’s has a range of products which can help to relieve your pain. From headache and short-term pain relievers to muscle relieving oils, self massagers, heat / cool packs and professional standard joint and muscle supports, our range can help to make you more comfortable. If you’re in pain and looking for some products which might help you, come in and chat to our pharmacists who are here for you. Chronic pain is pain which lasts for weeks, months and even longer and is shockingly common – there are more Americans suffering from chronic pain than those who have diabetes, heart disease and cancer combined. Chronic pain often requires intervention, support and management to help minimise pain long-term. From chatting to your GP about the right tests to check things out to working with physiotherapists and holistic healers, everyone’s path to pain management is different and personal. If you are suffering from chronic pain or have a pain condition which isn’t going away with short-term relief aids, we recommend seeing your GP. Your GP – if in doubt, make an appointment. From acute injuries to chronic conditions, they’ll be able to either directly diagnose or refer you to a specialist who can. Your friends and family – it sounds obvious, but chatting to someone about how you feel can genuinely help to relieve symptoms and tension. If you are able, try to make plans to look forward to and confide in people you trust. For chronic pain, cancer-related, pre-/post-procedural pain or any other serious condition, the Bermuda Pain Services Clinic is here to help. They have a comprehensive list of services; to find out more or contact them directly, click here. Alternative Medicine – from acupuncture to massage therapy, meditation and reiki healing, there are many alternative therapies to consider for pain management and relief. If you’re not sure which might be best for you, try chatting to your GP or calling different healing specialists to discuss your condition and their approach. Wishing you a pain-free September and beyond!